Can a Shoemaker Stretch Boots? What Is the Best Way to Break In New Cowboy Boots? Cowboy boots are designed for form and function. The heel keeps your foot from sliding too far into the stirrup while riding a horse, and the smooth, tapered toe allows you to dismount easily, or rapidly in the case of an emergency. Most cowboy boots are made from some type of leather. After ensuring a good fit before buying them, breaking them in is the second most important part of cowboy boot ownership. The easiest way to break in a new pair of boots is to wear them. Do not wear them while doing copious amounts of walking, but wear them around the house a few times before introducing them into regular use. This will allow the boot to conform to your foot, and also allow you to become accustomed to the boots before using them in an outdoor or work setting. When wearing your boots around the house for a few days, your feet will sweat. The moisture will allow the boot to conform to your foot in the proper manner. If this does not seem to be working after a few days, use a damp cloth to moisten the inside and outside of the boots and then wear them for light use. For extremely hard to break in boots, you can fill the entire boot with water and then wear it around the house. You may also sit in the bathtub with them on for a while and then wear them until they dry. This is not the most ideal way to break in a pair of boots, as the extreme amounts of moisture as well as the drying process may ruin the leather or any special finish on the boots. A cowboy boot should have a crease just behind the toes, where they bend, and another crease an inch or two behind that. These creases will naturally form from wear and tear. Some people advocate for bending the boot in these spots to break them in, but this may damage the sole by softening the boot too much and is not recommended. Through regular wear, the bottom of the soles will become scuffed and afford you a little more traction when walking on slick surfaces. This is perfectly normal, and encouraged, and should not be corrected. Regular care of your boots is essential once they have been broken in. 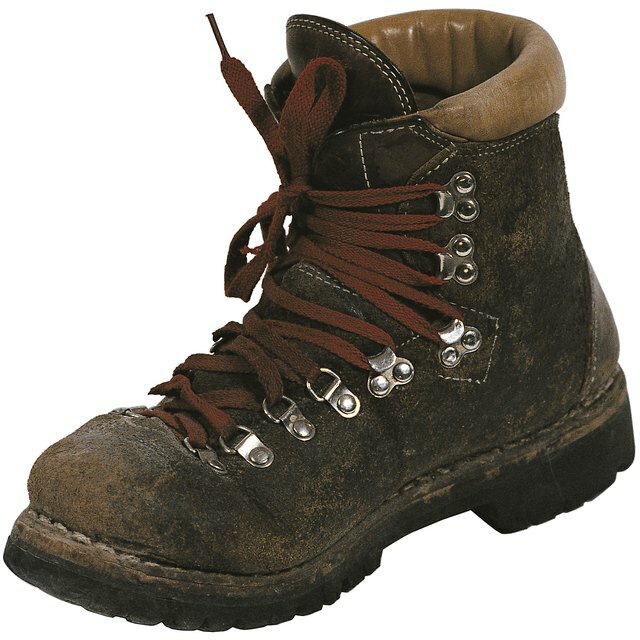 Wipe off mud and dust as soon as is convenient, and allow the boot to dry naturally without the aid of artificial heat sources such as heaters, radiators or campfires. Conditioning or the use of saddle soap may help with leather boots that have been overly dried, but should be used sparingly.